Tracy's Big Bookshelf : A Libraries Love Affair! Everyone in my family knows I LOVE libraries. It's become a bit of a standing joke, when I meet my parents for lunch in town they always expect me to have a large bag of books to return, and when my hubby goes to football on Sunday he isn't suprised if there's a book to drop off on the way. As a child in the summer holidays I would take the six week reading challenge. The idea was to read six books during the six week break but I loved reading so much I would often complete it several times, and mum and I would visit the library in Ipswich at least once a week, or so it seemed. I would even start reading the books on the bus on the way home. These days I never go on a bus without a book in my bag. All through school I read above my age group and often borrowed teen books before I was a teen myself. Sometimes my mum had to borrow books for me on her card because at that time it was only 6 books in one borrowing session and I often wanted more or the books were not from the children's section of the library. 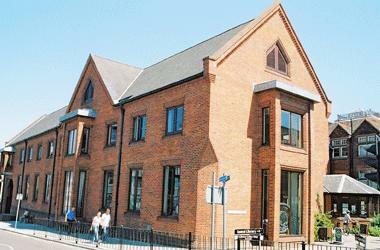 Entrance to Ipswich Library, Photo from EADT. During the summer of 2012 I volunteered at the Bury St Edmunds Library to listen to the children discuss their books for the Summer Reading Challenge, it was super to see that reading is still a popular pastime with youngsters. Although I was a little disappointed that they were only allowed to complete it once, something they were very strict about! Between August 2010 and April 2017 I borrowed almost 600 books so that averages about 86 books a year! I do need to admit that some of these have been audio books but I think that is still a lot of book borrowing! Plus I have 5 bookcase at home filled and overflowing, and that is after a recent purge! 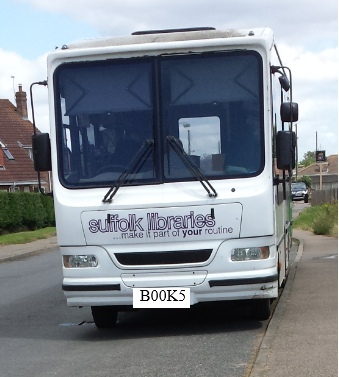 I have never lost my love of libraries and I still get a thrill when I enter through the library doors or realise it's mobile library day in our village. It's not just books you can borrow now, films, music, access a computer and the internet... 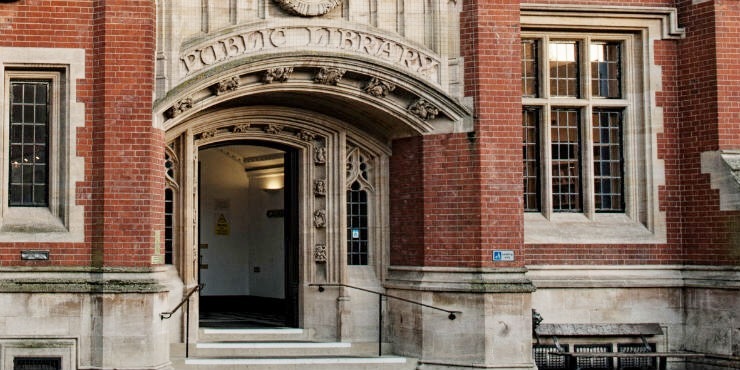 I feel that libraries are an important part of our society, being able to borrow a book of knowledge or esacapism, on trust alone, is an advantage we should not take for granted.